It seems a recent wave of Apple ID authorizations on other iOS devices is plaguing the Internet right now. 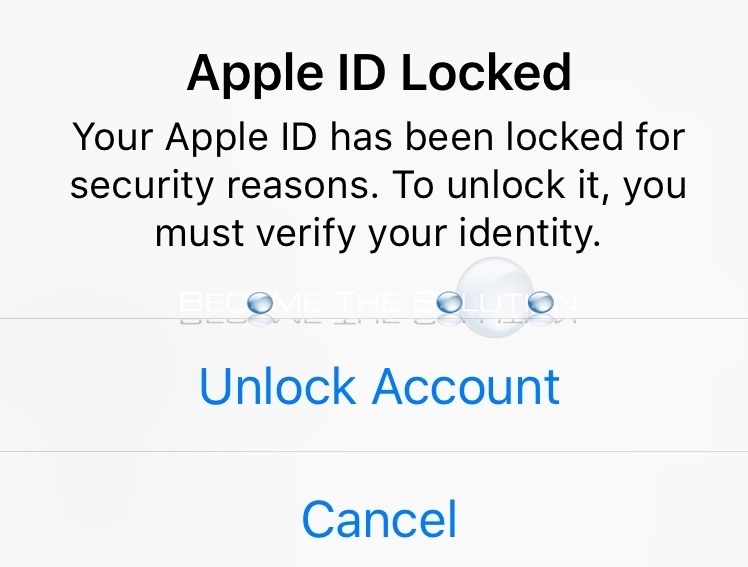 Over the last month or so, Apple ID users have are seeing authorization requests for Apple iCloud accounts either showing up on a device they already have setup in their iCloud or a sign-in from somewhere else they don’t recognize. What’s confusing about the Apple message is sometimes the message is for a device you already have setup in iCloud and Apple tells you to safely ignore the message. But why did you still get the prompt in the first place? *Update* It seems the recent wave of messages may be related to a Gmail email address that you have associated with an Apple ID account. See our article on Apple ID being used on a new Mac. Here are some of the Apple messages you may be seeing regarding your iCloud account being used for Facetime or iMessage on another device. Your Apple ID and phone number are now being used for iMessage and Facetime on a New Mac. Your Apple ID and phone number are now being used for iMessage and Facetime on a New iPhone. 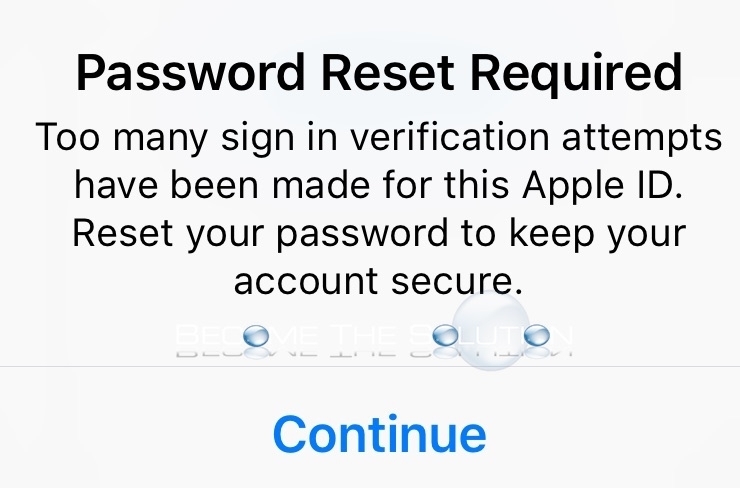 At this point, we have not seen Apple acknowledging a breach in Apple accounts, but it seems many iOS users online are getting these types of messages regardless of what they are doing on their device. At this point, the safest approach is the following. 1. Change your iCloud account password. -Go to https://appleid.apple.com/#!&page=signin from a desktop computer and sign in with your current iCloud account. If your account is locked from receiving the previous messages, you must first unlock your account following the Apple directions you get prompted with. -Scroll down to Security and select Change Password. 2. Enable Apple 2-Factor Authentication. -Scroll down to Security and select the edit tab. Select to enable Two-Factor Authentication. Please let us know if you are experiencing this issue. What type of email address do you associate with you Apple ID? Did you recent Apple ID notification say you logged in from another location? My email of apple id is yahoo still I faced same problem of location in another hundreds of miles away city and before this my google map was also showing my inaccurate location in my own city. I accepted apple id device in that other city thinking it's only maps gone nuts, but when I tried to update my macbook it didn't update and didn't even login to appstore telling me to add the code sent to my iphone to that device screen shown in another city because code box did not appear on my screen it means it appeared on screen of some unknown device which is not even listed or showing when I check my email security. I don't see anything fishy on email security. But my iphone is working fine and also getting connected to appstore and getting updates. The only problem is happening on my macbook. I need help. i just got th message but it gave np details like where, just near Indianapolis. i have yahoo and don't believe it. another glitch, just like overtime i run an update on my external disk that it was ejected improperly? i see on Apple communities this has been a bug for 4 years or more. also now i am not able to open many of my photos, seems that is also a very old problem for apple. So no, i just think another apple glitch.. Same thing is happing to me. I get a pop up on two of my devices at the same time saying my Apple ID is being used in another country.. I have Yahoo mail with my Apple ID. I got two messages today regarding two different countries. This not be a glitch. It seems more like Apple accounts are targeted for hacks. Every time I was launching the music app, the message: "Your Apple ID being Used to Sign in to a Device Near...(my location) was appearing. Allow - Deny. And then verification code was popped up. I tried a lot of things and eventually I selected deny, it sent me to settings to change my password, witch I did. After that it's ok. For now or for ever... we'll see. Every time I was launching the music app, the message: "Your Apple ID being Used to Sign in to a Device Near...(my location) was appearing. Allow - Deny. And then verification code was popped up. I tried a lot of things and eventually I selected deny, it sent me to settings to change my password, witch I did. After that it's ok. For now or for ever... we'll see. I am in a spiral downward. The suggested fix is just leading me into a rabbit hole... "Account Recovery ". But my devices won't accept my new passwords, which according to Apple is "strong". This is VERY frustrating and has been going on for 3 days! I just changed my password and checked the 'log out of all devices' while doing so. I then logged back in and jumped through the same hoops that triggered the pop ups and only encountered the pop ups once while logging in the logged out de vices, as expected, and have not encountered them otherwise when trying to log out and back in or anything else. It's only been 30 mins, but I feel confident this saved it. PS my email address is routed through a gmail account, but not a gmail address per say, just uses gmail to manage, not sure that helps anything but thought I would mention it.